Autism involves a basic impairment in social cognition. 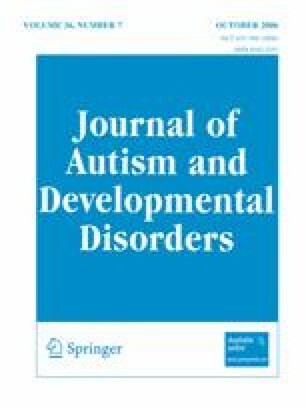 This study investigated early stage face processing in young children with autism by examining the face-sensitive early negative event-related brain potential component in 3–4 year old children with autism spectrum disorder (ASD), typical development, and developmental delay. Results indicated that children with ASD showed a slower electrical brain response to faces and a larger amplitude response to objects compared to children with typical development and developmental delay. These findings indicate that children with ASD have a disordered pattern of brain responses to faces and objects at an early age. This research was funded by a program project grant from the National Institute of Child Health and Human Development and the National Institute on Deafness and Communication Disability (PO1HD34565), which is part of the NICHD/NIDCD Collaborative Program of Excellence in Autism and by a center grant from the National Institute of Mental Health (U54MH066399), which is part of the NIH STAART Centers Program. The Murdock Trust provided funds for purchase of the system for recording electroencephalographic activity. We gratefully acknowledge the contributions of these funding sources, the Clinical and Statistical Cores of this program project, the parents and their children who participated in this study and several other people who made significant contributions to this research, including Cathy Brock, Leslie Carver, Jonathan Gray, James McPartland, Jeff Munson, Megan Paul, Jessica Shook, and several undergraduate research assistants.